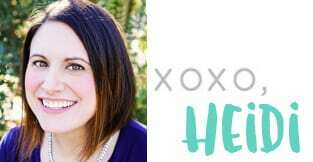 No time or budget for a family vacation? 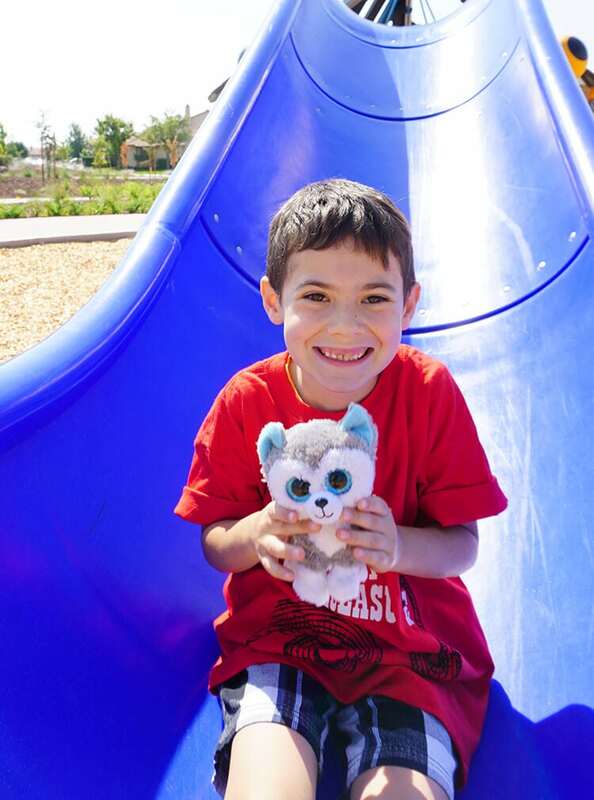 Check out these fun summer staycation ideas for families instead! Save money, stay home, and discover new adventures and activities in your own town! 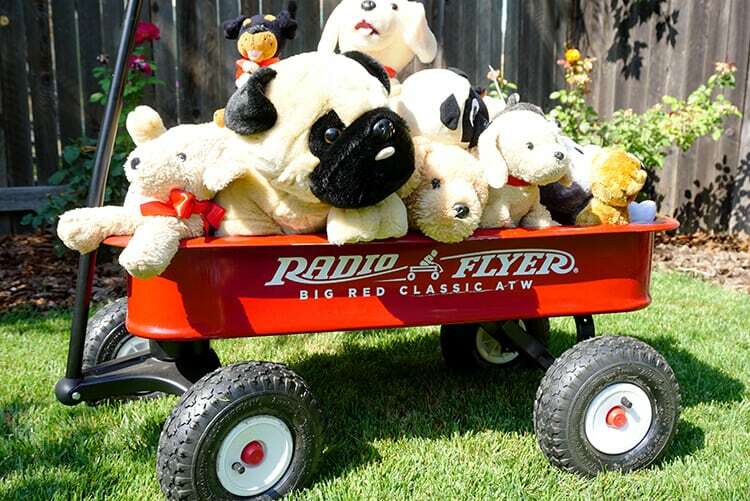 Radio Flyer is celebrating its 100th anniversary this year (yep, Radio Flyer has been powering play and inspiring imagination in kids of all ages for 100 years – WOW! 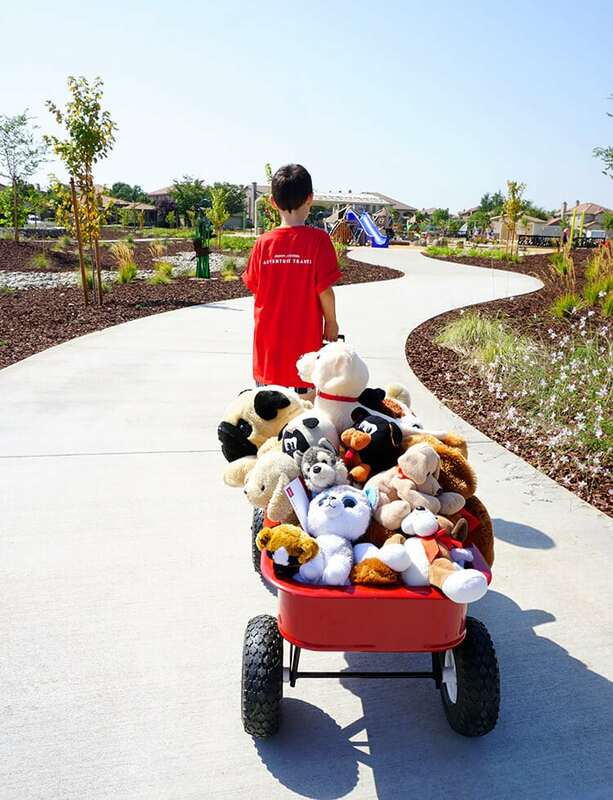 ), and as part of their celebration, they launched their very first kids “travel agency,” Radio Flyer Adventure Travel, as part of their 100 Days of Summer campaign. 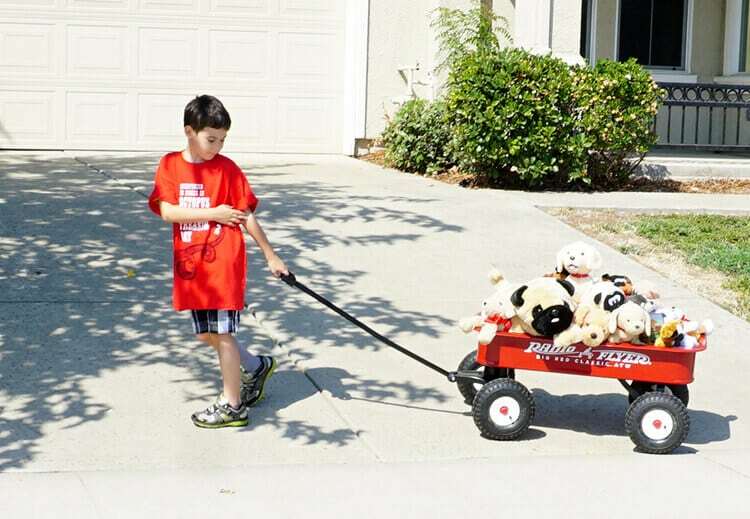 Simon loves to watch the videos and check out the “travel destinations” on the website, so I wasn’t surprised when he started to fill up his Big Red Classic ATW with his favorite stuffed puppies after checking out the website. So, where was our staycation destination? Mount Puppy, of course! 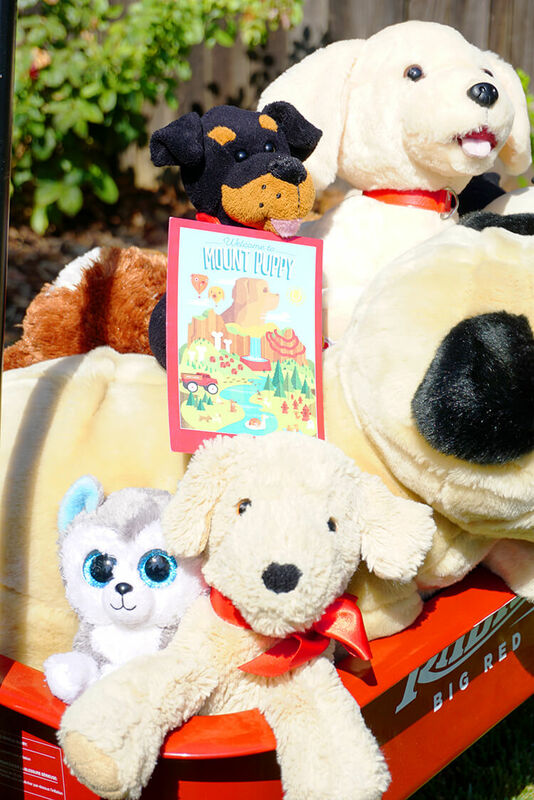 Naturally, ALL of our favorite plush pets had to come along! 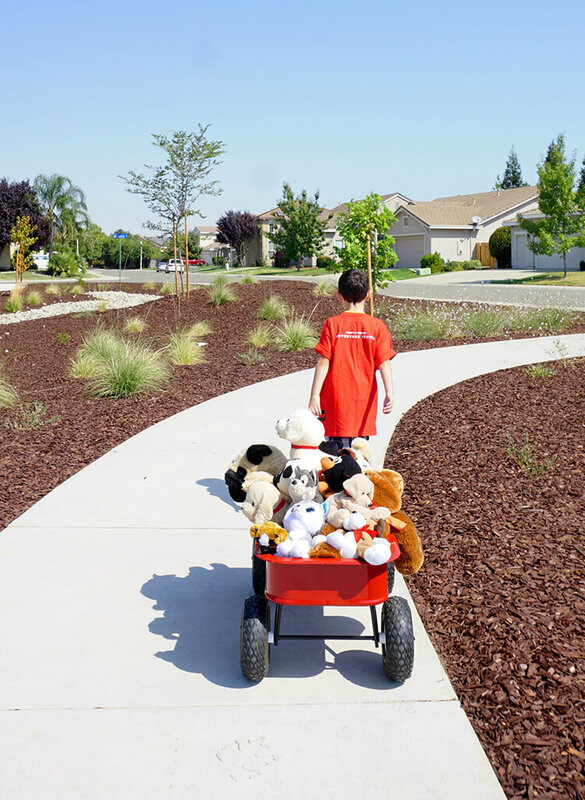 When I first bought our family’s Radio Flyer ATW, I wasn’t sure if we would actually need the all-terrain wheels, but we have REALLY put this wagon to the test on all kinds of uneven surfaces this year – and it has stood up to every single one! It even rolls like a champ on the beach! 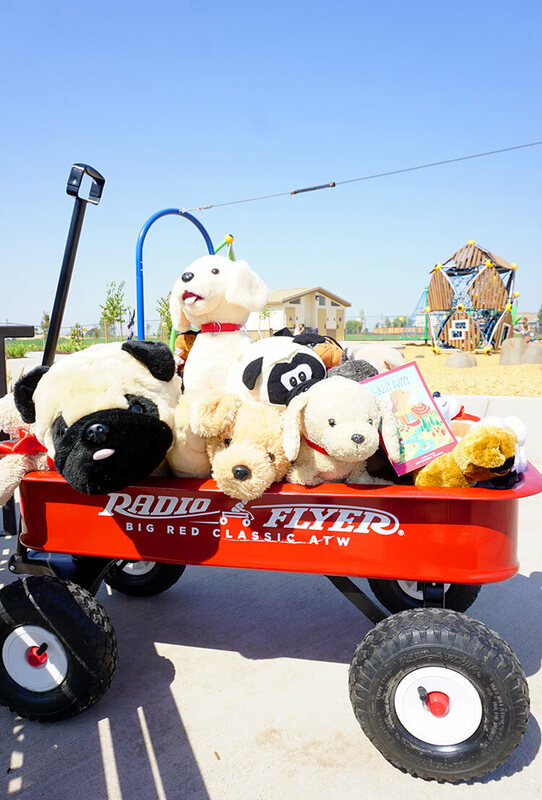 Radio Flyer is committed to great design and innovation (which is how they have stayed relevant for 100 years! ), and there’s no doubt as to why they are the world’s leading builder of wagons, tricycles, pre-school scooters and other ride-ons. Their timeless goods are made to last! Along the way to Mount Puppy, we stopped and took a couple of detours to show the plush pups all of the other area attractions including the ladybug ride-on, climbing rocks, web swing, and zip line. And all of the pups had to take a trip down the Puppy Falls slide, of course! Mom, the kid, and the stuffies all thoroughly enjoyed our staycation and the time we spent exploring the Mount Puppy area (that’s Mount Puppy in the background there!). Yay for a successful staycation adventure! Now, time for some lunch! Simon couldn’t wipe this huge grin off of his face, and I really enjoyed myself as well! We visit our neighborhood park a few times a week, and this was seriously the most fun we’ve ever had there – viewing it with new adventure-seeking eyes was a TON of fun! Simon is already planning our next staycation ideas – a trip to the clubhouse pool aka “Octopus Shiny Treasure Bay!” I can’t wait to see what we’ll discover next! 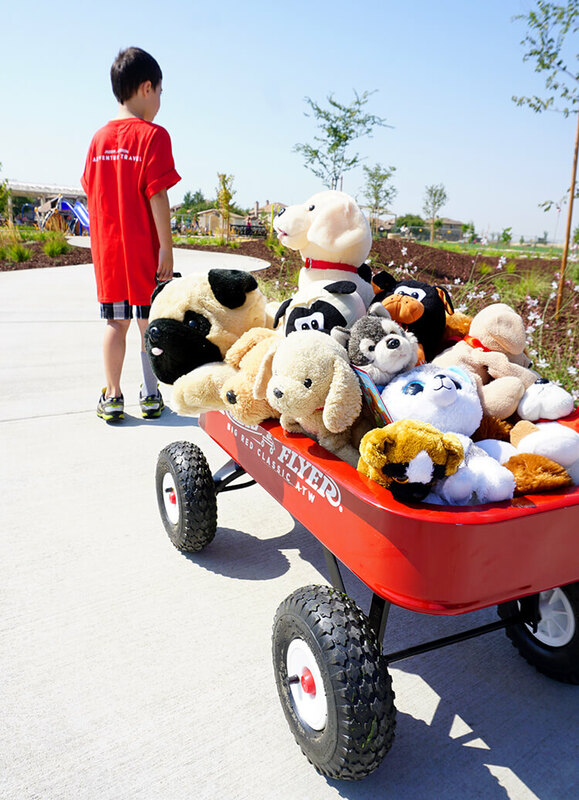 Visit the Radio Flyer Adventure Travel agency and choose one of their imaginary destinations – let your imagination run free and plan a fun adventure based on the destination! See an outdoor movie or have a movie night in your own backyard! 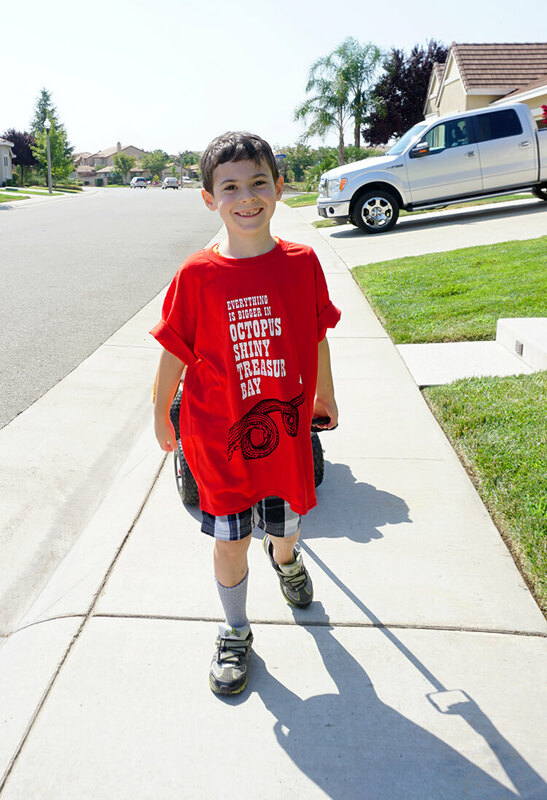 Make a superhero cape from an old t-shirt! Just because you don’t have the time or budget to plan an out-of-town family vacation, there are TONS of fun things you can do by taking a “staycation” in your own town! 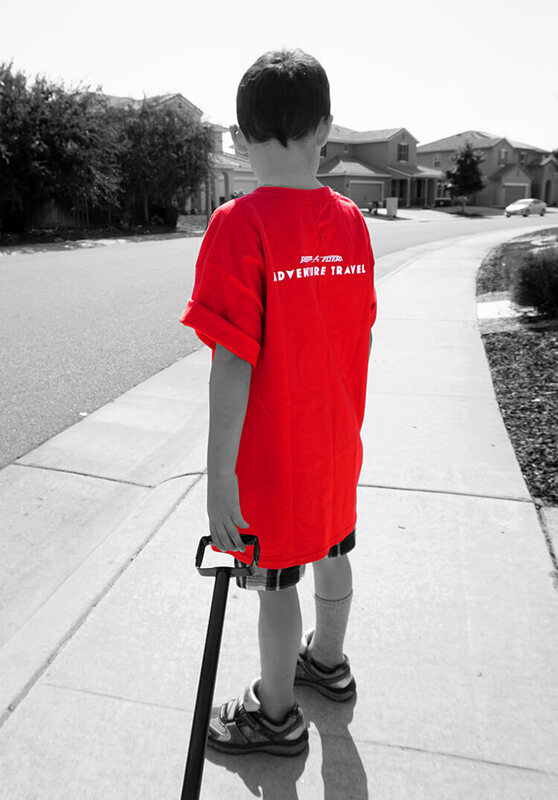 Don’t forget to check out the Radio Flyer Adventure Travel website for more ideas and information! If you like these summer staycation ideas for families, be sure to pin them!